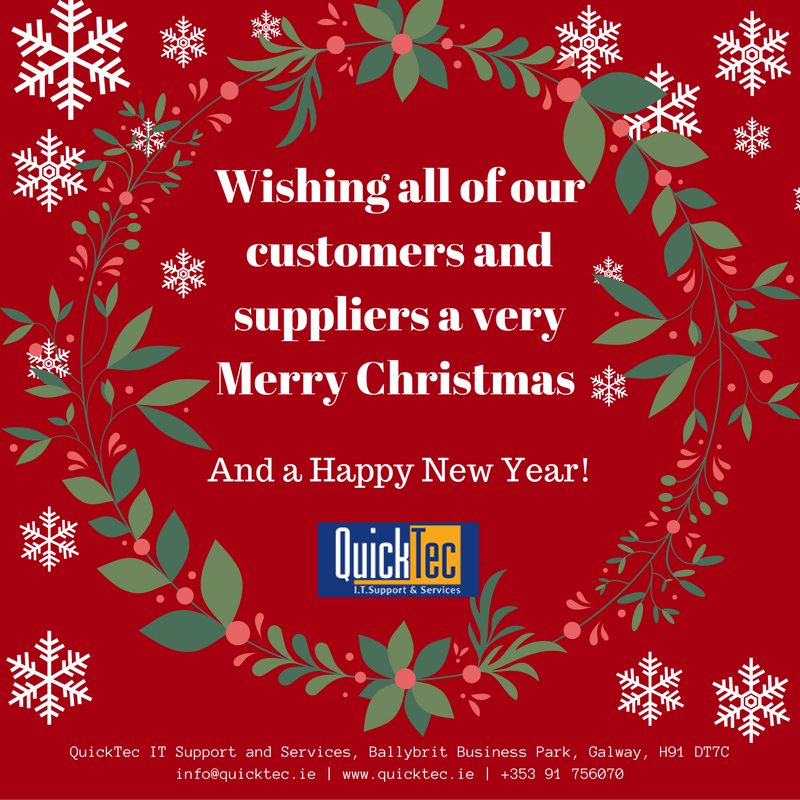 As we approach the end of the year, all of us at QuickTec IT would like to send our sincerest thank you for your cherished support throughout 2016. We will be closing on Thursday the 22nd of December and reopening on Tuesday the 3rd of January. In order for us to help you over the festive period, we have arranged for limited emergency support on the 23rd, 28th, 29th and 30th. We look forward to working alongside you in 2017. Copyright © 2016 QuickTec I.T. Support and Services, All rights reserved.